CrimeFes t 2012 is taking place in Bristol this weekend, and I just know that my reading list is going to have expanded massively by the end of the week-end. 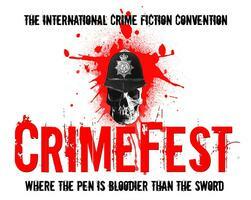 There are some great panels taking place featuring established writers such as PD James and Sue Grafton, alongside début novelists including Michael J Malone, a fellow crimesquad.com reviewer whose first crime novel Blood Tears is being published next week. Yesterday afternoon, there was a wonderful session entitled Forgotten Authors where the panel recommended crime writers whose books have fallen out of favour. Chaired by Martin Edwards, his nomination was JJ Connington, the pseudonym of British chemist Alfred Walter Stewart. Martin described him as a ‘fair play writer’ who wrote books where all the clues were present for the reader to find. His suggested reading was Murder in the Maze. Peter Gutteridge’s recommendations were CS Forester and Ira Levin. Forrester is, of course, famous for his Hornblower series but Payment Deferred, an early crime novel by the writer was recommended for its ‘suburban noir’ theme. Ira Levin is now chiefly remembered for the film adaptations of his books including Rosemary’s Baby, The Boys from Brazil and The Stepford Wives. 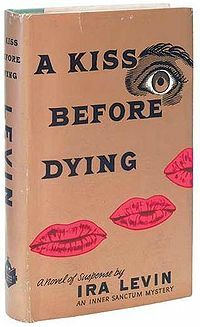 A Kiss Before Dying, also adapted twice for the screen, was recommended for the bombshell that awaits the reader early on in the book. Dolores Gordon-Smith’s recommendation was Austin Freeman. Julian Symons once described reading Freeman’s books as ‘like chewing dry straw’ which the panel considered to be a little harsh. Freeman is considered to have invented the inverted detective story, where the perpetrator of a crime is revealed early on and the narrative then charts a detectives attempt to solve the mystery. Mr Polton Explains was one recommended book from this author, written in 1940 in a London air-raid shelter. John Curran’s first suggestion was Andrew Garve who also wrote as Roger Bax and Paul Somers. His books were set all over the world and he excelled in constructing innovative plots. Particularly recommended was A Touch of Larceny, later made into a film starring James Mason. Curran’s second recommendation was Helen McCloy who also wrote intriguing plots, many involving psychoanalyst Dr Basil Willing. She Walks Alone was commended as an Agatha Christie style thriller. Caroline Todd, one half of the writing duo Charles Todd, recommended two authors. The first, Evelyn Anthony, had a varied career switching from historical fiction to Cold War stories and then thrillers. Her famous book The Tamarind Seed was made into a film starring Julie Andrews and Omar Shariff. 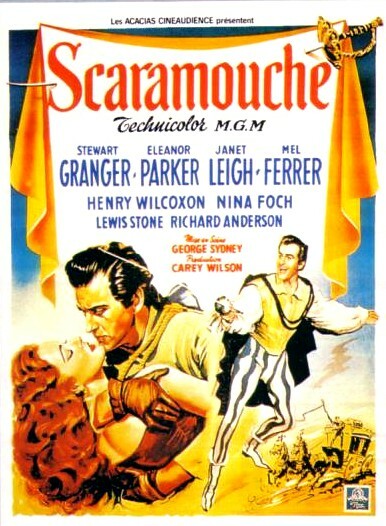 The second recommendation was Raphael Sabatini, once famed for his adventures such as Scaramouche and Captain Blood but who has now slipped into obscurity. So some great recommendations from an interesting panel discussion. During the question and answer session it was asked why these writers, most of whom were once immensely popular, have dropped into obscurity. The consensus was that there is a random element as to which writers survive to become classics although some styles of writing did go out of fashion. An excellent panel and Abe Books should be doing some some trade with me in the near future. Have you read any of these authors and do you think their obscurity is undeserved? Thanks for this post (from one who cannot be there!). I might check some of these out but will probably wait in the hope of future posts as I imagine recommendations are going to be coming thick and fast for the duration of the meeting! I totally understand Maxine. But I do like a good classic read. BTW let me know if there’s anything you want me to pick up for you here. I will have an eye on the International Daggers later for you. Thanks, Sarah, will let you know! I have a parcel nearly ready to send to you, by the way, on the off chance that you do not collect enough for yourself at Bristol ;-). I am following the tweets with fascination and interest, the hash tag is working well and there is no shortage of them, which is nice. Thanks Margot – our wish list just keeps growing! Thanks for recording all this Sarah. Sounds like this was an instructive session and I’d love to have been there, although I can’t agree on JJ Connington (although I have only read one, to be fair). Captain Blood’s going on my list. I agree Rich although I am myself guilty of watching those Poirot reruns. I’m going to give most of these authors a try. 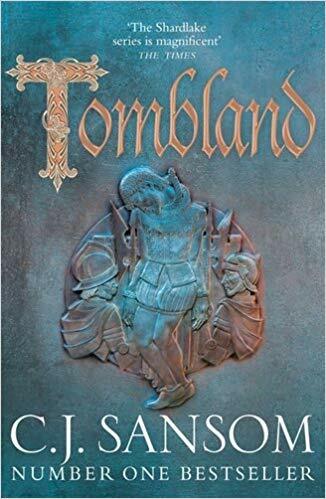 Allingham’s name wasn’t mentioned this time Enid but I agree she is certainly worth re-reading. Sounds like a fascinating discussion and I appreciate the reading suggestions! I should mention that I not only enjoy the Forgotten Authors panels at Crimefest, but I find them useful. One such panel finally got me reading James McClure, who has since become one of my favorite crime writers. And I bought Payment Deferred at this year’s festival based on Peter Guttridge’s recommendation. I hope the panels continue. Thanks Peter. I picked up an Evelyn Anthony book after listening to this panel which I enjoyed a lot.